Terry Evanshen was the Eastern Conference Rookie of the Year in 1965. During 14 seasons he fumbled the ball only three times while catching 600 passes for 9,697 yards and 80 touchdowns. He scored 17 touchdowns in 1967, a year in which he had eight 100-yard pass receiving games. 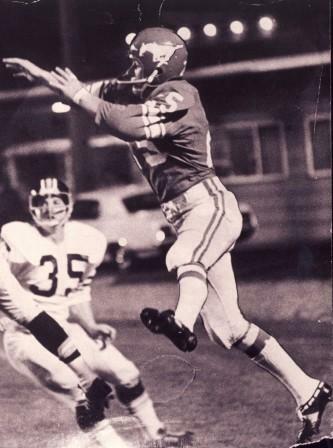 Evanshen’s career longest reception was on a 109-yard pass play from Hall of Fame Quarterback Jerry Keeling during a 1966 game. He exceeded 1,000 reception yards in 1966, 1967 and 1968 and scored two touchdowns in the Grey Cup game.